We have a team of property experts in our Alnwick branch waiting to help you! Pattinson offers an extensive range of services to suit all your property needs. We really do cover anything even down to mortgage advice if you are looking to buy or maintenance for your property. Our team in Alnwick are equipped to answer any of your property related questions and would be happy to discuss what buying, selling and renting options are available for you. There are a wide variety of properties in and around Alnwick already listed in our portfolio. As well as considering comparable properties, our valuers draw upon their sound local knowledge when conducting a valuation. With links to our very own auction house, Pattinson Auction, the team can also guide you through an alternative way of buying and selling property. ⭐⭐⭐⭐⭐ The service I was given from Pattinsons in Alnwick was great. Maruf was very helpful and flexible about being able to get into the property. He was very professional in his service and made the buying process very easy for me. I live in Scotland and therefore the English system was very different and he helped enormously in negotiating my way through the system. Thank you very much. ⭐⭐⭐⭐⭐Great service from Claire at the Alnwick branch. Excellent communication all the way. She also keeps in touch regarding sales as well as rentals. Thank you Claire. Claire was a real pleasure to deal with - offering advice when needed but at the same time allowing us to have a thorough inspection of the property. She always gave us a number of options regarding viewing times and was both prompt and professional . We never felt rushed or under pressure when viewing and any information requested was provided quickly - thank you! Customer service has been excellent for purchasing a property in Northumberland all the way from Kent. The lack of available floor plans online or in hard copy caused us some inconvenience however. The agent's monitoring and follow up of events was very responsive and we received a weekly call until exchange of contracts. Great service, communication has been very professional, has been a very positive experiance. Have gone out of there way to accommodate. Highly recommended.. Thank you Pattinson’s Auction department, but mainly Alnwick branch. Claire Suniega kept me up to date on a regular basis as to intrest in my property, also helping out with documentation issues directly. I would recommend Patterson’s absolutely. Very good service, lots of help/advice when looking for our buy to let. ⭐⭐⭐⭐⭐ The team at the Alnwick branch have been helpful in helping me to market and sell my house. I have found them to be very friendly and they have kept me up to date in a timely manner. ⭐⭐⭐⭐⭐ Very helpful staff with sound knowledge and a realistic understanding of the current property market. They provided a professional service with excellent communication through out the whole process of selling our house and the purchase of our new property. 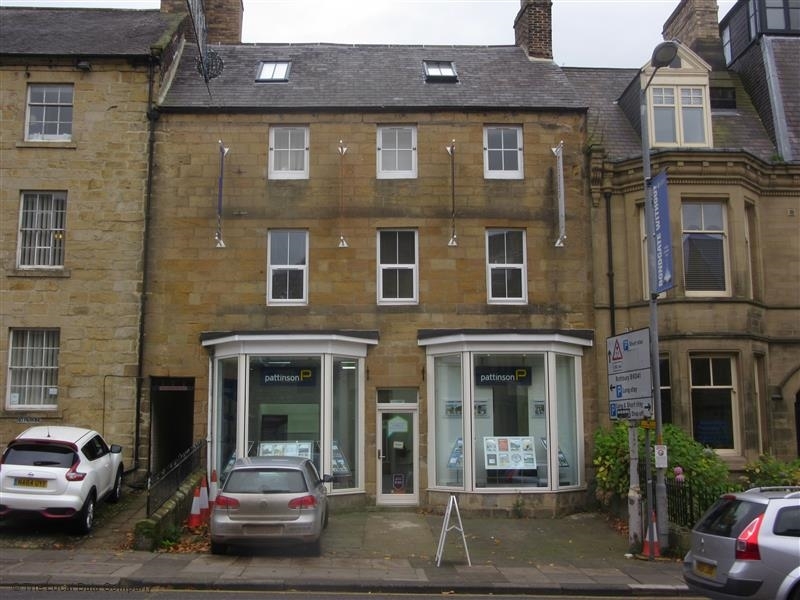 I would have no hesitation in recommending Pattinson Alnwick for your property sale, purchase or rental requirement. ⭐⭐⭐⭐⭐ Claire at Pattinson’s in Alnwick went the extra mile to ensure my tenancy went through without a hitch. Her professional, positive and proactive approach was a pleasure to behold in this often difficult process. Overall an experience which was made flawless by her 5 Star efforts and one I would recommend to anyone looking to rent in the area. Outstanding service! ⭐⭐⭐⭐⭐ First class service from Pattinson's at Alnwick. Claire was so helpful and friendly and couldn't have done more. She guided us in the right direction at all times, helping us along the way and went way above and beyond the call of duty. Very impressed and would definitely recommend and use again. ⭐⭐⭐⭐⭐ From the first phone call to arrange a viewing the agents Gemma, Rosie and Claire at Alnwick Pattinsons have been friendly, efficient and supportive. They are encouraging without being pushy, kept me fully informed and seemed genuinely excited to let me know I had an offer accepted. I feel I can ask anything however trivial which has been very reassuring, and would thoroughly recommend their services. ⭐⭐⭐⭐⭐ We were extremely happy with the staff in the Alnwick branch. Their efficiency with communication and correspondence made the sale of our property easy and stress free. Will definitely recommend them.